Bay Rock Storage Gives Back! Excellent service.Everyone was very helpful and professional,answered all our questions . Nice clean storage space with a lot of different accommodations to offer! Friendly and helpful staff as well- shout out to Michael for helping us out! Very good experience at Bay Rock Storage . Everyone courteous and professional. Jessica was very nice person and took the time to explain and show the facility... Read More in detail. This is the cleanest storage facility/office I have ever seen, despite half the site being under construction still. The staff was professional and very... Read More helpful. LOVE that its a new building... so many older facilities have leaks or be moldy. Nice to know my stuff is safe. Plus the pricing is so low right now. On the north side of the Montague Expressway, Bay Rock Storage is here to fulfill your storage needs in Milpitas, CA. We’re located just a short distance from the Great Mall, with storage units available to free up space at home, help you with your next move, or support your new hobby. We offer a range of sizes of storage units, so whether you’re looking for something small for storing extra clothes, or something as big as a garage for furniture and industrial equipment, we have you covered. Our professional staff will be glad to walk you through all the units we have for rent – let us help you find the right storage space for you. 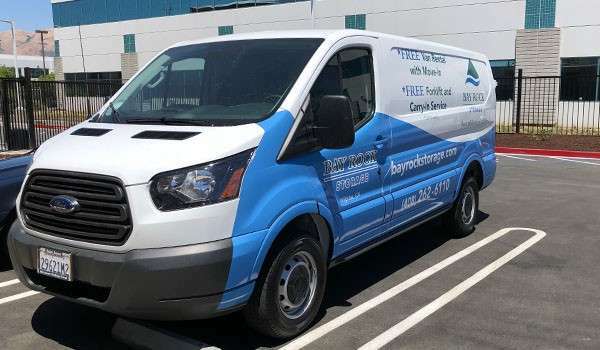 At Bay Rock Storage, we want to cater to all of your storage needs – including the need to store an RV, boat, or other type of vehicle. For that, we have parking spots so you can keep it out of the way and ready for retrieval at any time. We make moving-in easy, too. On top of our free move-in van rental, we also provide free forklift use for moving heavy items into your storage unit. 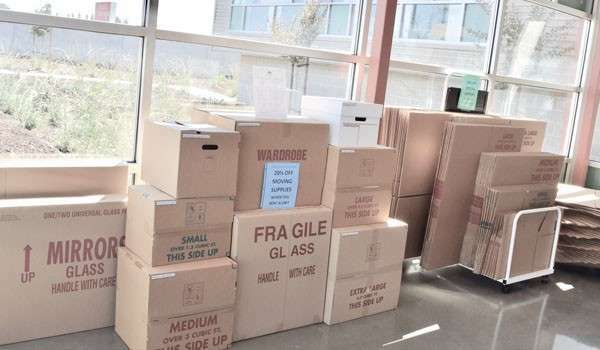 With drive-up and first-floor access for many of our units, loading and unloading is quick and painless. If you need additional supplies along the way, we sell everything from extra boxes and tape to locks right here on site. At Bay Rock Storage, we offer many different storage unit sizes to provide you with the perfect solution. Our storage units range from small 5 x 5 ft. closet-sized units to large units up to 10 x 30 ft. Whether you’re looking for commercial business storage or household storage, we’ll help you find just what you need. And with month-to-month lease options, we make it fast and easy for you to store in a snap. Contact us today and speak with a storage specialist who will show you why our service makes a difference! Our gates are open 7 days a week with gate access until 8:45 p.m., at which time our staff makes rounds every night for security purposes. Extended gate access hours are available to meet your business needs. Please let us know if there is anything we can do to make your storage experience easier and more convenient.